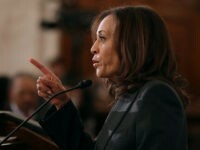 Presidential contender Kamala Harris affirmed her support for doing away with Columbus Day in favor of Indigenous People’s Day during her first campaign swing through New Hampshire. 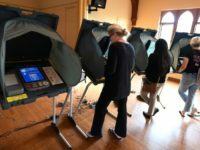 The northern Ohio city of Sandusky is moving to take Columbus Day off its official holiday list and will instead make Election Day a holiday. Last week, Brown University’s Office of Diversity and Multicultural Affairs sent out greeting for “Indigenous Peoples’ Day Weekend,” which has replaced Fall Weekend — Columbus Day weekend — in the uber-politically correct academic environment. 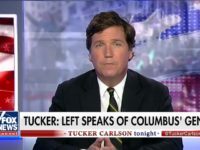 Brown’s action is part of the larger effort by the academic left to cast Columbus as a villain and focus on Native Americans as sainted martyrs. 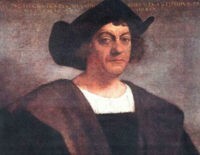 President Donald Trump praised explorer Christopher Columbus in his annual Columbus Day proclamation. 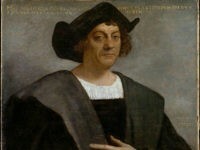 A Chicago grade school student’s journal entry slamming a teacher and claiming whites can’t teach black history is going viral as the nation again comes to grips with the now controversial legacy of Christopher Columbus and the holiday that bears his name. 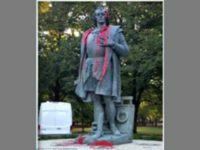 A statue of Christopher Columbus was vandalized in Chicago’s Little Italy neighborhood on Columbus Day. 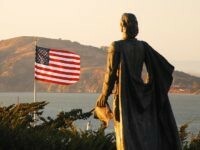 Patriotic American organizations carried on the tradition, dating back to 1912, of honoring the memory of the discoverer of the New World. 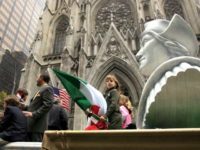 The Italian Sons and Daughters of America ask that other ethnicities in the U.S. show respect for their immigrant heritage. 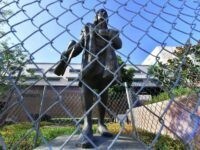 A statue of explorer Christopher Columbus was fenced off in downtown Los Angeles on Monday, as the city observed its first-ever “Indigenous Peoples Day” to replace the traditional Columbus Day holiday. 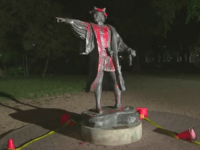 A small group of protesters came out Sunday demanding that San Antonio city officials remove a longstanding statue of Christopher Columbus. They held signs and chanted, asserting that Monday’s federal holiday, which honors the explorer, represents oppression for Native Americans. The Austin City Council voted Thursday to celebrate Indigenous Peoples Day, a holiday that honors Native Americans, and no longer recognize Columbus Day. 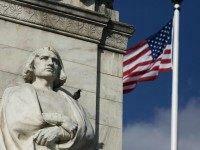 The Los Angeles City Council voted Wednesday to remove Columbus Day from the city calendar and replace it with Indigenous Peoples Day. 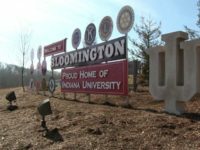 As Christmas season begins for countless millions of Christians in America and across the globe, Bloomington, Indiana, announced that it will no longer recognize Good Friday because doing so is insensitive to others. 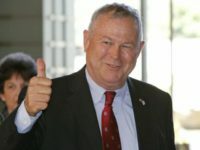 The southern Californian Republican congressman in consideration for Secretary of State told Breitbart News he shares the worldview of President-elect Donald J. Trump and he would gladly leave Congress to lead the Trump State Department. 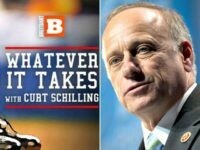 One of the most conservative congressmen in the House Republican Conference told Curt Schilling, the host of Whatever It Takes on Breitbart.com, that his home state of Iowa looks good for Donald J. Trump. Pedro Martinez congratulated the Cleveland Indians for sweeping his former club in the ALDS on Monday night. 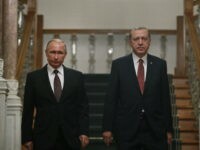 The fun police quickly went on the war path. The city of Cincinnati is proposing to replace Columbus Day with “Indigenous People’s Day.” The resolution, which was passed in committee Monday, has to go before the city council before it is approved. 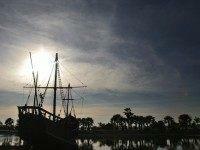 Los Angeles may become the latest city to ship off Columbus Day in favor of Indigenous Peoples’ Day–and a new city employee day off–if councilman Mitch O’Farrell’s idea eventually is approved. In his proclamation for Columbus Day, President Obama said Friday that European explorers to the New World ushered in “previously unseen disease, devastation, and violence” to the lives of Native Americans. 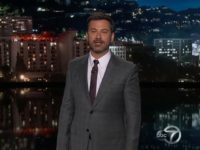 While the war on Christmas will likely heat up in the coming weeks, another holiday is also facing more and more scrutiny from liberals. 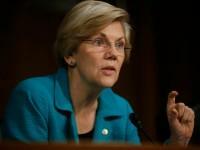 There is without a doubt a war on Columbus Day and more salvos are being fired. It’s that time of the year– a time to celebrate the indelible mark left by the Spanish empire on our cultural identities and the inextricable link between Spain, America, and Christianity: Columbus Day.